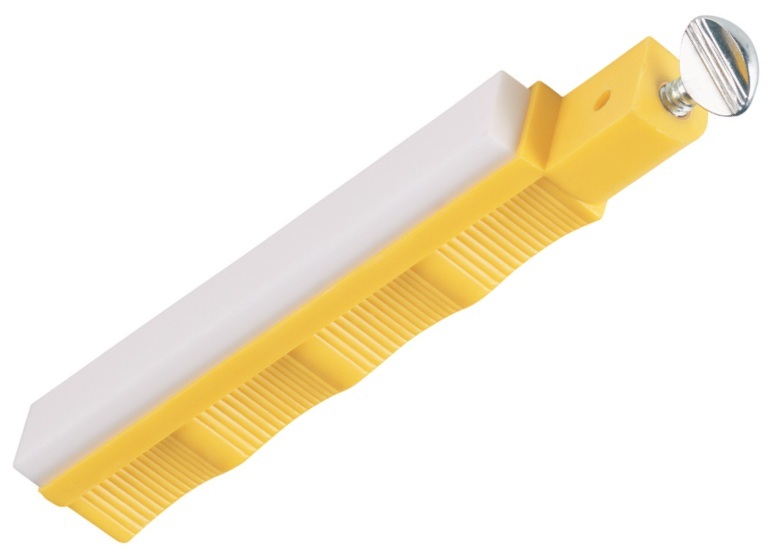 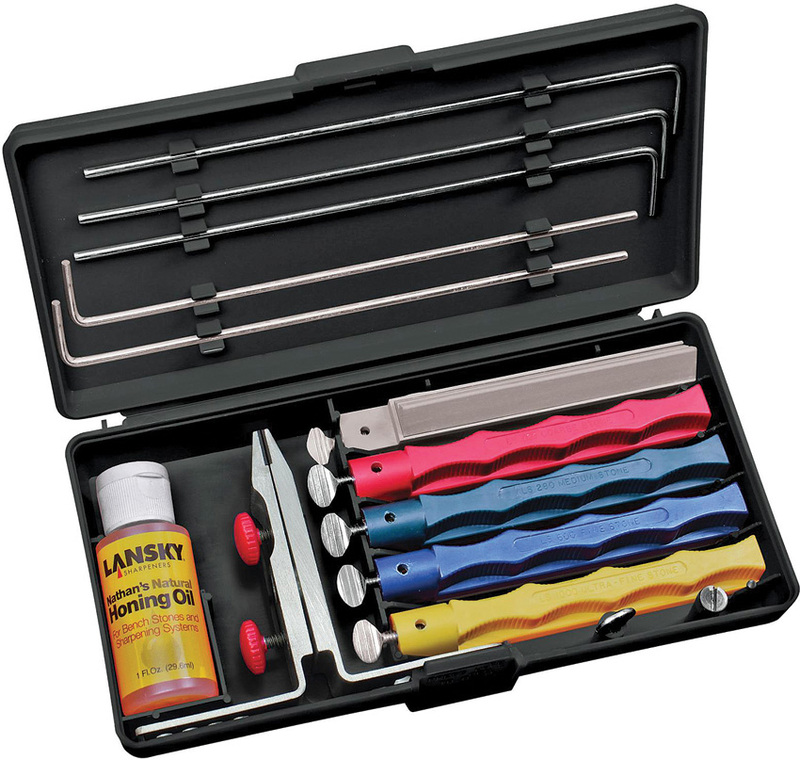 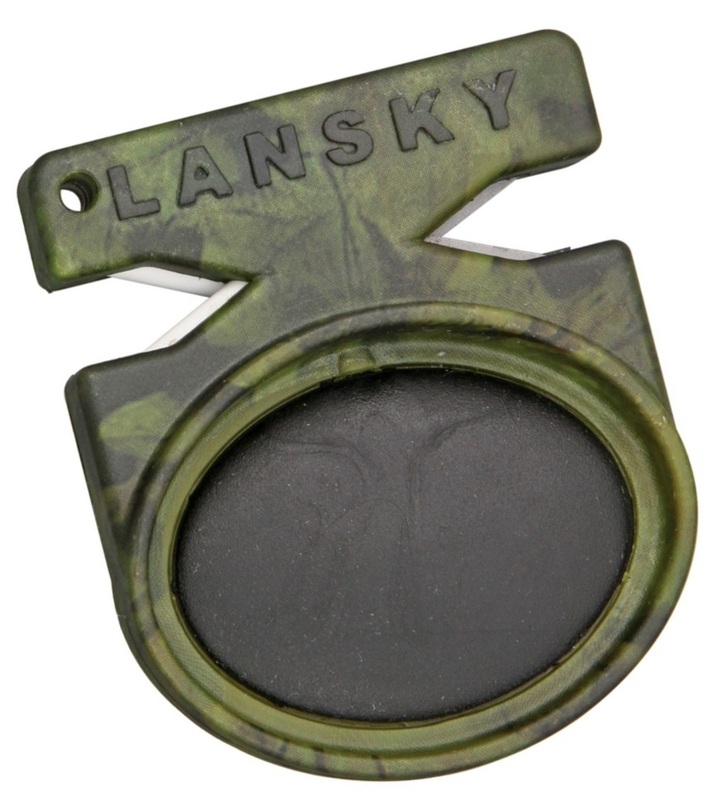 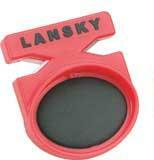 Lansky is the original and still the best knife sharpening system you can buy. 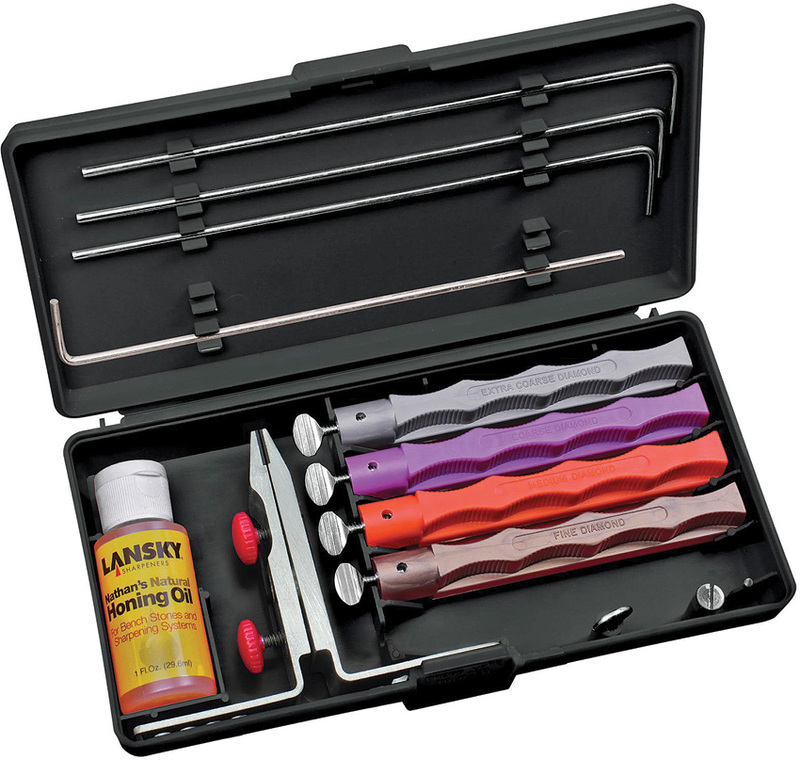 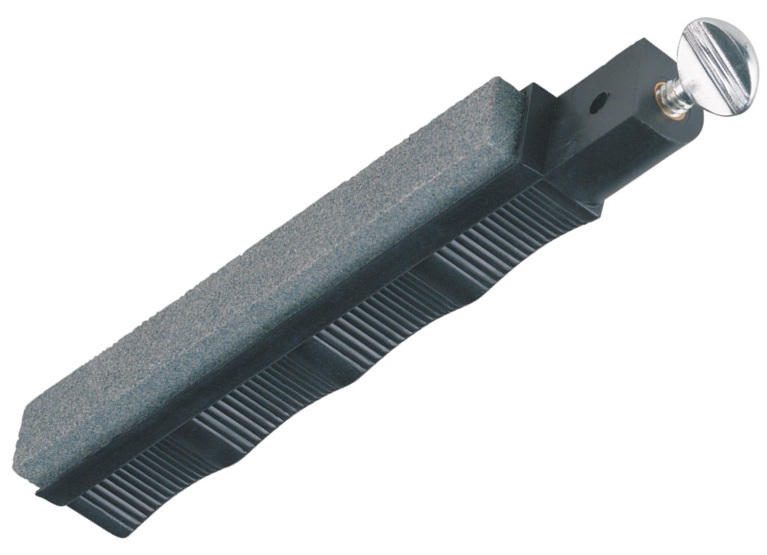 This 3 sharpening stone system comes with the knife clamp, the guide rods, honing oil and instructions all in its own case. 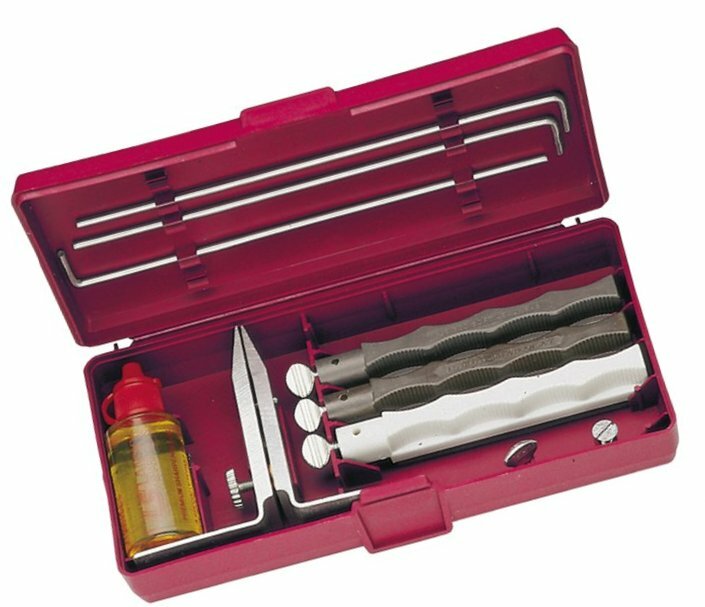 This is probably the only system that is still made in the US, everything else has been farmed out to China. 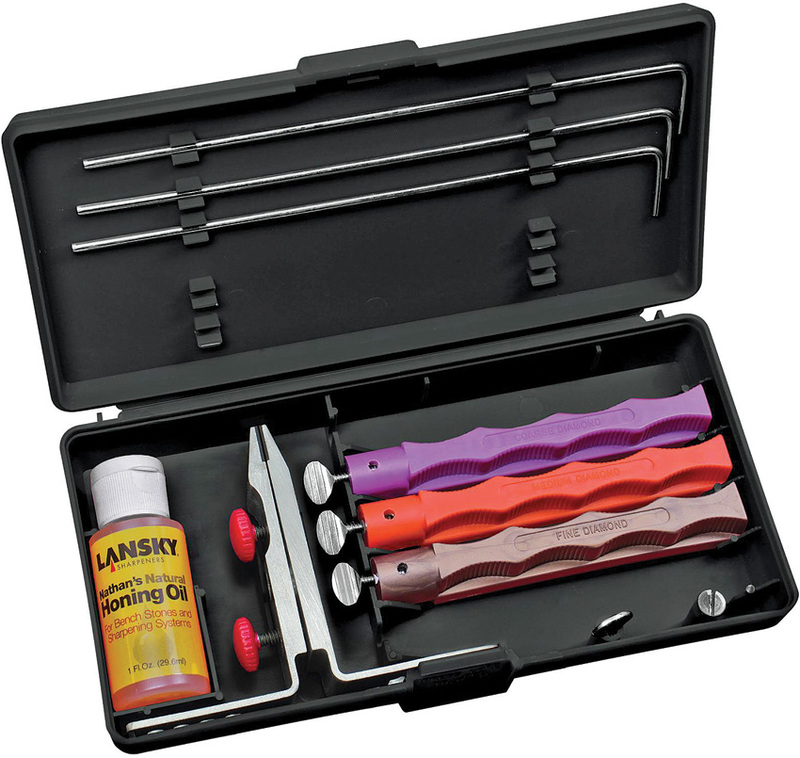 It is simple to use and comes with 3 stages of stone - Soft Arkansas, Hard Arkansas and Black Arkansas.